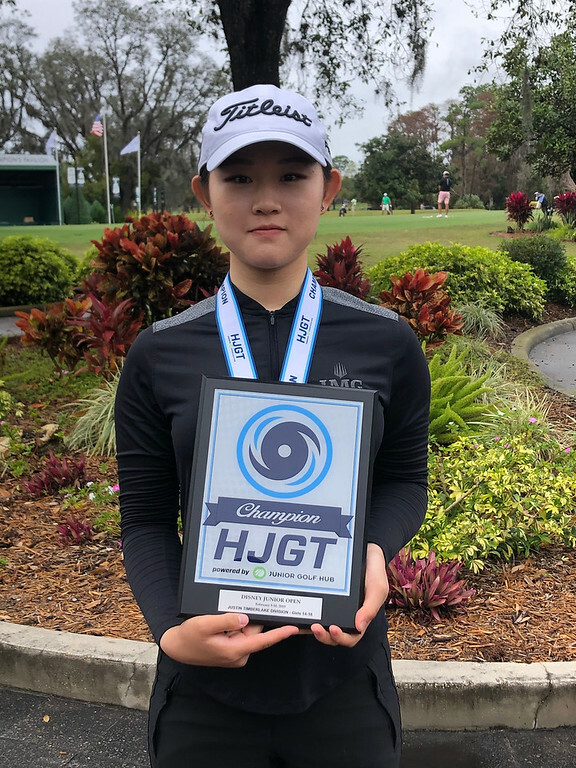 On Saturday, February 9 - Sunday, February 10, the Hurricane Junior Golf Tour held the Disney Junior Open at Walt Disney World golf courses in Orlando, FL. 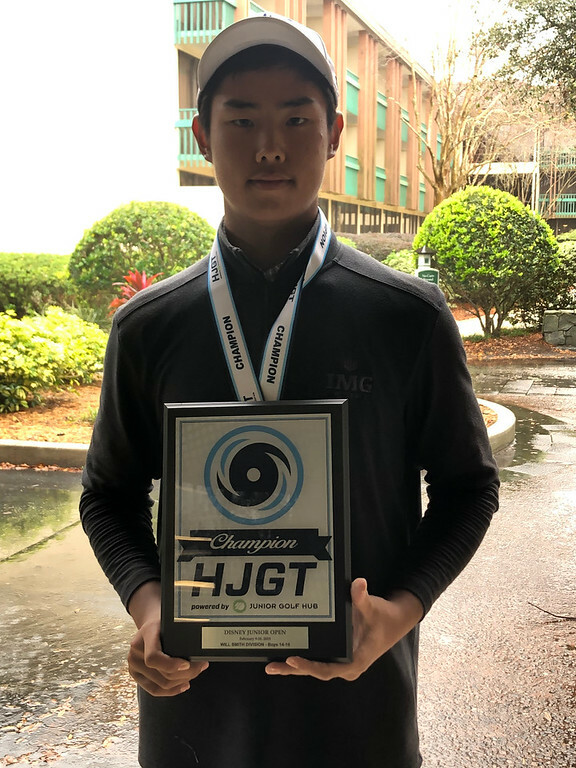 The tournament was made up of a 36-hole, two-day format and the field was made up of six divisions that included the Tiger Woods Division Boys 16-18, Will Smith Division Boys 14-15, Ernie Els Division Boys 11-13, Bryson DeChambeau Division Boys Under 10, Justin Timberlake Division Girls 14-18, and the Justin Rose Division Girls 13 and Under. To view the full leaderboard click HERE! The Tiger Woods Boys 16-18 Division never disappoints, and that tradition stayed true at the Disney Junior Open. In first place by the narrowest of margins was Brian Park of Gyeonggi-do, South Korea who topped the leaderboards with a final score of 148. In second place was Richard Kruger of Pretoria, SC who shot an outstanding 149 over the two-day span. Third place belongs to Trey Diehl of Orlando, FL who finished his second round strong with a 74 to end his tournament with a 150. Next up was the Will Smith Boys 14-15 Division which was conquered by none other than Xirong Cheng of Shanghai, China. Xirong finished his second round with an incredible 67 to finish his tournament run with 141 strokes. 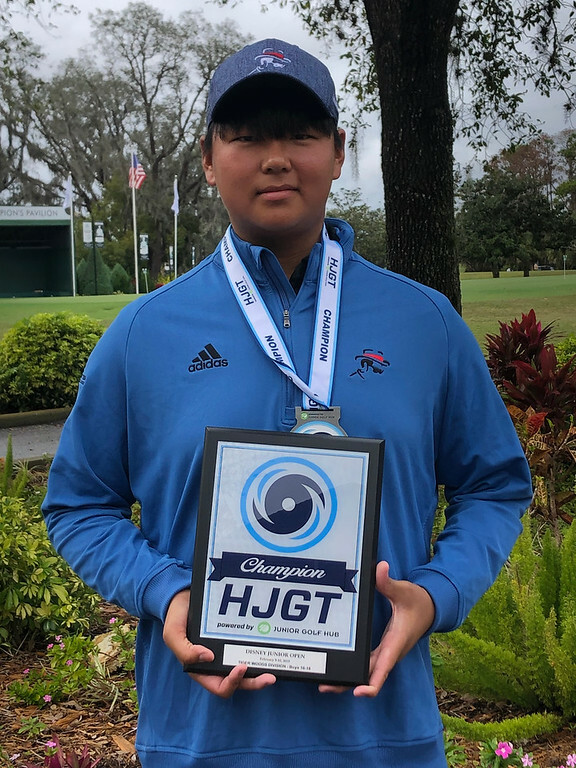 Behind him was Reggie Zhu of Winter Garden, FL who kept things consistent throughout the tournament, shooting an 81 and 82 for a total of 163. Javier Del Rio rounded out the top three with a strong second round finish of 77 to give him a 167 overall. 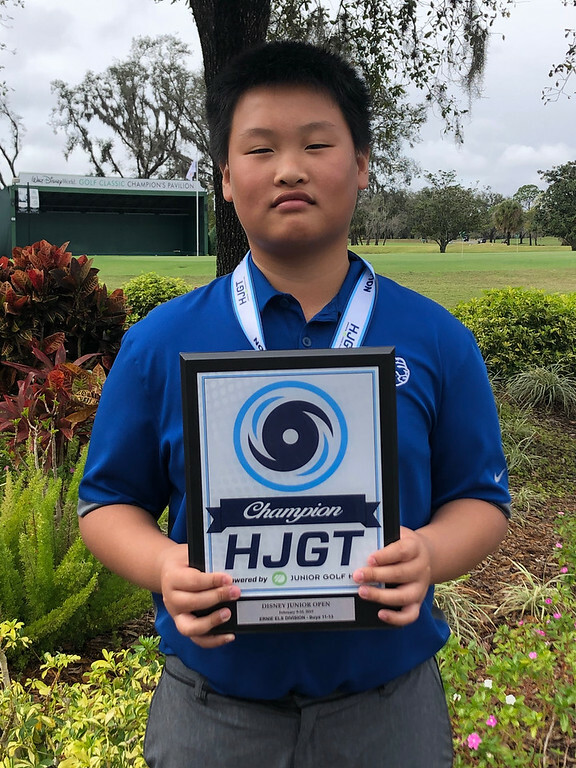 The Ernie Els Boys 11-13 Division was won by Hanru Guo of Bluffton, SC who shot a quite consistent 76 and 77 to finish his tournament with an impressive score of 153. In second place was Jiacheng Xu of Winter Garden, FL who shot a solid 163 after his two-day run. 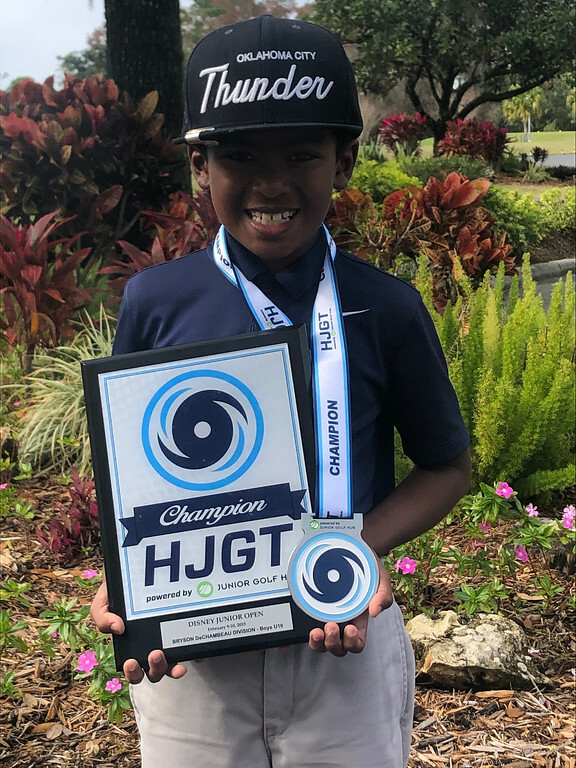 The final spot on the podium belongs to Ethan Coffield of Hamilton, GA who continues to get his name on the leaderboards with a total of 165 strokes in the Disney Junior Open. The Justin Timberlake Girls 14-18 Division was one of the closest finishes we’ve ever had, with a total of five girls finishing in the top three. The top finisher in the division was Ka Yee Kwok of China who played an incredible two rounds shooting a 72 each day for a total of 144 strokes. In second place was Mackenzie Morrison of Toronto, Canada who shot a solid 75 on round one and finished with a score of 156. Third place was made up of a three-way tie that included Kaitlin Chao of Orlando, FL, Sakurako Tanaka of Japan, and Anne Walsh of Jamaica Plain, MA. All three girls ended their two-day tournaments with a score of 157. 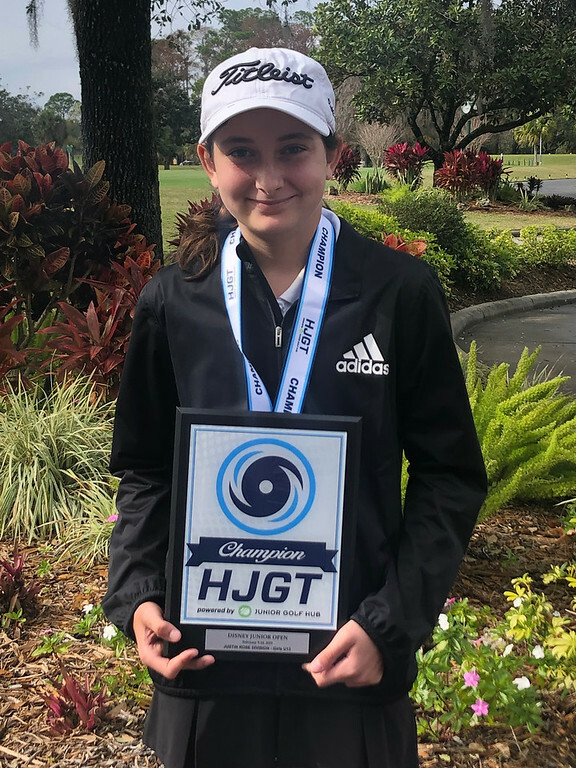 We had a strong showing this past weekend in the Justin Rose Girls Under 13 Division, and the overall top spot belongs to Remi Bacardi of Miami Florida. Remi shot consistently throughout the tournament with rounds of 81 and 80 to finish off with 161 strokes. Behind her was Sammy Chao of Orlando, FL who landed in second place with a solid tournament display of 167. Not too far behind her was Camryn Coffield of Hamilton, GA who finished her two-day gameplay with a total of 171 strokes. The young lads of the Bryson DeChambeau Boys Under 10 Division fought hard over the weekend, and Arnold Pouncy IV of St. Cloud, FL came out victorious with the top spot. Arnold finished the tournament shooting a 178. Just behind him was Giancarlo Aguirre of Lima, Peru who is no stranger to the podium, and finished his two-day tournament shooting a 182.